Joining Azalia for her LA shows will be sax players Emily St Amand Poliakoff and Anastasia Shepherd. and guitar goddess Sylvia Juncosa as part of this COOLING SYSTEM night. Azalia Snail has toured the USA, Europe, Japan, and New Zealand and has jammed with Beck, The Black Heart Procession, The Grifters, Trumans Water, Low, and many other unique musical artists. 6/10: Hukilau presents Poly Blend group art show w/ Shag and others. The Hukilau 2010 presents “Poly Blend” – a group art show curated by Harold Golen featuring SHAG and many others. Tiki Kiliki Productions in association with Harold Golen presents an on-site “Hukilau” group art show, “Poly Blend” as part of the opening night of the Hukilau 2010. “Poly Blend” combines a world-wide, multi-media mix of art that is exotic, tropical, modern, and primitive, in a Mid Century Modern flavored installation. The show includes paintings, sculptures and curiosities from Africa, Asia, The Bahamas, Brazil, Easter Island, Hawaii, North America, Peru and beyond. The name “Poly Blend” is derived from the term “Poly Pop” or “Polynesian Pop” and this group show puts into perspective how visual “exotica” is a blend of many different styles, elements, geographical, cultural and ethnic art and icons. Harold Golen is an art collector and curator who introduced the Pop Surrealist art scene to Florida via his gallery, Harold Golen Fine Arts, in the Wynwood Art District of Miami. Start summer off right with another all DJ Bullet dance party! 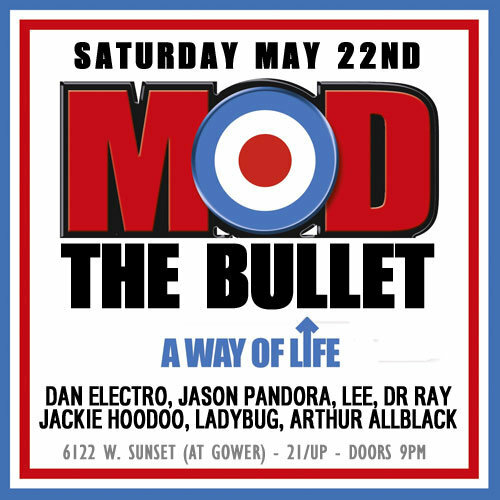 Join Bullet DJs Arthur Allblack, Lee Joseph, Dan Electro, Jason Pandora,Jackie Hoodoo, Dr Ray and DJ Ladybug who will be laying down top Mod, Soul and Garage vinyl sounds all night! 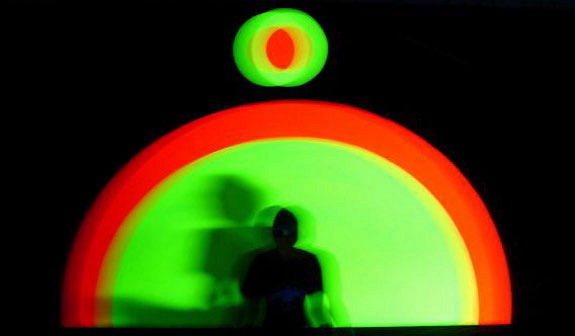 On Thursday, May 13, in conjunction with Downtown Art Walk, “California Surf, ” a site-specific art installation by black light artist Jerico Woggon will go on display at the Museum of Neon Art – Downtown Los Angeles. Born and raised at the beach in Summerland, California, surfing was a childhood activity that became Jerico’s passion into adulthood. 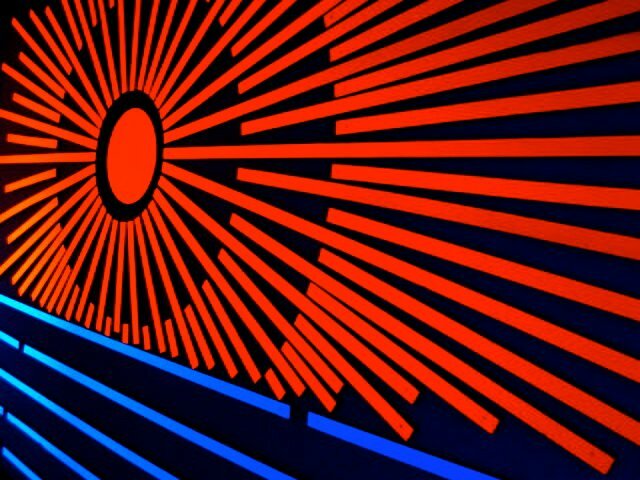 Currently living in Downtown LA, Jerico still derives inspiration from images related to nature, the beach, and surfing which is a major influence in his black light art. The surfing theme will continue inside in the lobby gallery with neon works by Larry Manson, Richard Ankrom and Randy Noborikawa. Rogue Taxidermy is the creation of oddities, using traditional taxidermy materials and techniques. Guest curator Robert Marbury (along with his partners Scott Bibus and Sarina Brewer) coined the term in 2004, upon forming the Minnesota Association of Rogue Taxidermists. Road kill becomes a central part of their “recycled” philosophy, as are discarded livestock, destroyed nuisance animals, casualties of the pet trade and animals that have expired from natural causes. Other sculptures utilize taxidermy materials with custom stitching to fashion beasts from the recycled pelts of toy stuffed animals. Elements of technology and decoration combine to create ornaments that approach high art not only in craft, but in concept. Materials and even species are mixed, helping to broaden presumptive definitions; pieces in this exhibition span Steam Punk to Rococo – from playful to elegant. On Saturday, May 8, there will be a Minnesota Association of Rogue Taxidermists Live Taxidermy Masterclass & Chili Gamefeed Featuring Robert Marbury and special guests from 6pm – 9pm. The Squirrel Masterclass/Gamefeed with be led by Scott Bibus, with help from Jeanie M. Following the Demo, Chef Winter Rosebudd will be serving up Squirrel Chili. A vegan “Mock-Squirrel” Chili will also be available. Beer sponsored by Schmaltz Brewing Company. 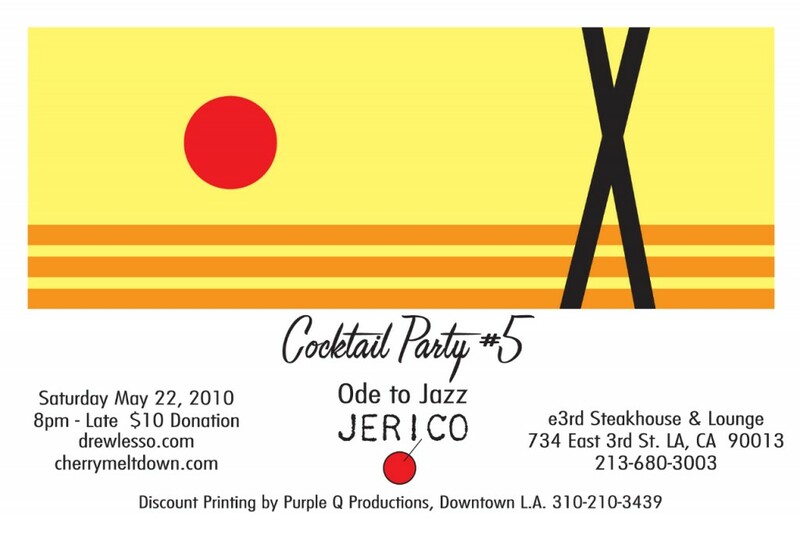 This Sunday, May 2nd at Lost Souls Cafe! midnight spirographs is pleased to announce that upcoming events will be held in various locations in downtown Los Angeles! The May 2nd event will be held at Lost Souls Cafe and will feature artwork by Micah McKinley and Jennifer Dowland, photography by rEfection_b and music by in house DJ Logarithm and guest DJ Lee of Dionysus Records. 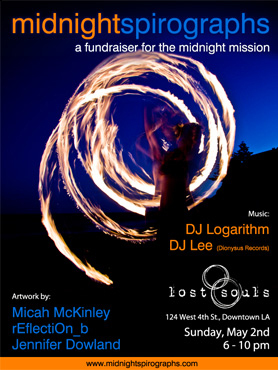 Lost Souls Cafe will give happy hour discounts to all Midnight Spirographs attendees! Suggested donation: $5 (and toilet paper donations are also encouraged) ALL OF THE PROCEEDS WILL GO TO THE MIDNIGHT MISSION. 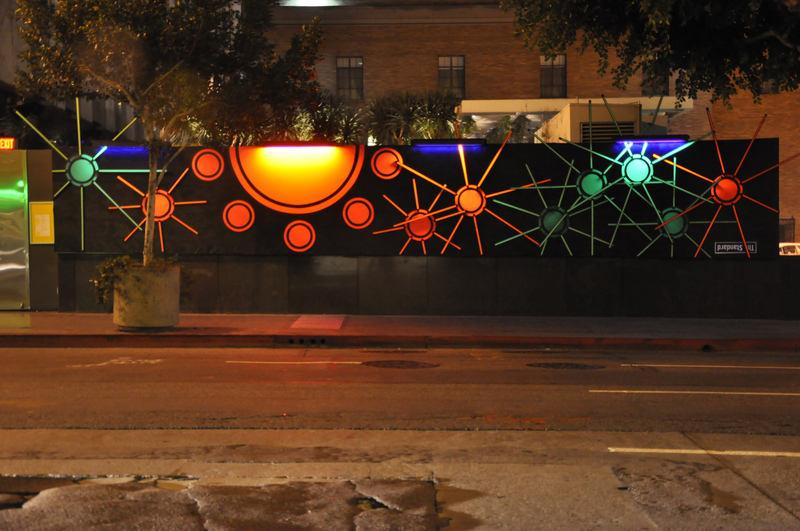 The next midnight spirographs will be held at the Hi-Lite artist collective in downtown Los Angels. For you artists out there looking for a studio space, there is one studio/creative office space available for May 1 it’s $450/300 s.f. Check out their website and contact either Sam or Billy if you are interested! http://thehi-lite.com/ See you Sunday!